Dispersion forces such as Casimir forces between bodies, Casimir-Polder forces between atoms and bodies and van der Waals forces between atoms are effective electromagnetic forces that arise as consequences of correlated ground-state fluctuations. We are investigating dispersion forces in and out of thermal equilibrium [1,2,3] that are particularly relevant for long-wavelength atomic transitions as found in Rydberg atoms [4,5], and study universal scaling laws  and friction forces [7,8]. Dispersion forces occur in a variety of different contexts such as molecular interferometry where they influence the interference pattern of large molecules [9,10], and in diffraction processes of atom clouds off periodic surface potential landscapes . Near nanofibers, we have shown that the Casimir-Polder force on an atom can be laterally tuned by choosing the appropriate atomic state for preparation , and the confinement of atoms inside a hollow-core fiber can be used to tune the van der Waals interaction between them . Rydberg atoms that have been excited to a quantum state with large principal quantum number n possess some extraordinary properties. For example, their exaggerated size, growing as n2, implies large dipole moments that also grow as n2 as well as dipole polarisabilities with an n7 scaling. Rydberg physics was so far limited to excitations in atomic systems. In collaboration with colleagues from the TU Dortmund, we have recently shown that Rydberg excitations can also be observed in semiconductor systems . Here, the material in which the excitons were formed was a natural cuprous oxide (Cu2O) crystal. Rydberg excitons with principal quantum numbers up to n=25 have been observed in transmission spectroscopy (see Figure) which corresponds to an extension of the exciton wavefunction of more than one micrometer. Similar to atoms, the binding energies of Rydberg excitons deviate systematically from the hydrogenic Rydberg series. This deviation can be cast into the form of a quantum defect which we showed to derive from the nonparabolicity of the valence bands  (see Figure). Our result is based on the solution of the valence band Hamiltonian associated with the cubic crystal symmetry of Cu2O that corresponds to a modified Schrödinger equation in momentum space. One of the fundamental problems in understanding the interaction between light and dielectrics can be traced back to the question how to quantize the electromagnetic field in the presence of absorbing bodies. A consistent quantization scheme has been developed over the last 10 years or so which is based on a source-quantity representation of the electromagnetic field in terms of a bosonic vector field that describes collective excitations of field and absorbing matter [1,2]. In the linear-response approximation, this procedure is exact and has been used to treat atomic decoherence processes (spontaneous decay, dephasing, spatial decoherence etc.) as well dispersion forces (Casimir force, Casimir-Polder force) . More recently, we have been able to extend this quantization scheme to include nonlinearly responding, absorbing dielectrics [4,5,6]. This enables us to study the effect of nonlinear absorption mechanisms in a quantum-mechanically consistent way. In the context of nonlocal or even nonreciprocal media, we have shown that the principle of macroscopic duality can still be upheld [7,8]. S. Scheel, L. Knöll, and D.-G. Welsch, QED commutation relations for inhomogeneous Kramers--Kronig dielectrics, Phys. Rev. A 58 , 700 (1998). C. Raabe, S.Scheel, and D.-G. Welsch, Unified approach to QED in arbitrary linear media, Phys. Rev. A 75 , 053813 (2007). S. Scheel and S.Y. Buhmann, Macroscopic quantum electrodynamics -- principles and applications, Acta Phys. Slov. 58, 675--810 (2008). S. Scheel and D.-G. Welsch, Quantum theory of light and noise polarisation in nonlinear optics, Phys. Rev. Lett. 96 , 073601 (2006). S. Scheel and D.-G. Welsch, Causal nonlinear quantum optics, J. Phys. B: At. Mol. Opt. Phys. 39, S711 (2006). J.A. Crosse and S. Scheel, Effective nonlinear Hamiltonians in dielectric media, Phys. Rev. A 81, 033815 (2010). S.Y. Buhmann and S. Scheel, Macroscopic quantum electrodynamics and duality, Phys. Rev. Lett. 102, 140404 (2009). S.Y. Buhmann, D.T. Butcher, and S. Scheel, Macroscopic quantum electrodynamics in nonlocal and nonreciprocal media, New J. Phys. 14, 083034 (2012). Verification of quantum states and processes requires a reconstruction of density matrices and CP maps that describes them. 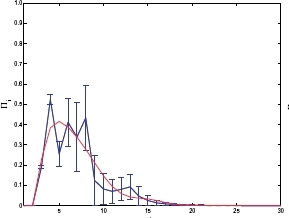 Together with K.M.R.Audenaert (Royal Holloway College) we are developing a novel quantum tomographic reconstruction method based on Bayesian inference via the Kalman filter update equations that also provides complete information about measurement uncertainties (error bars) . This method allows also for a consistent treatment of imperfect photon detection . With the advent of microfabricated structures (atom chips) that enable one to confine small numbers of neutral atoms near dielectric surfaces, we are able to study atom-surface interactions in great detail. The effects we investigate range from thermally induced spin flips  to spatial decoherence  and Casimir-Polder forces. More recently, we are beginning to understand effects of electromagnetic absorption in superconducting surfaces on coherence properties of atomic samples [3,4], and we will explore their potential use in high-precision measurements. Recently, we found evidence of directional spontaneous emission of atoms near a nanofiber .